There are many similarities between Clean Energy Capital Projects (i.e. 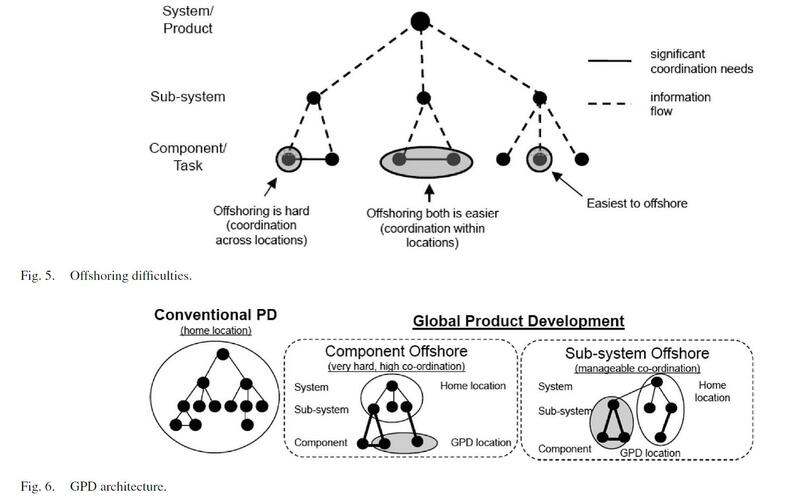 a new Clean Powerplant or Wind Farm) and Complex Engineered Product Systems which can benefit from the novel approaches to Global Project organization. There is much more to his approach, with the above diagram “telling a thousand words”. This same overall approach can also be applied to Clean Energy Capital Projects, as at the heart they are Complex Engineered Systems, even though most Clean Energy Capital Projects are not mass manufactured products and are often custom engineered for site, size, customer, environment, politics, etc. Today and tomorrow’s Clean Energy Projects have to take into account so many more boundary conditions, interactions, water conservancy, failure modes and effect analysis, etc, that the systems engineering of the whole system, and how they fit into the bigger ecosystem continues to gain in complexity. Down at the subsystem and component level, the supply chains, global sourcing, recyclability, and other aspects must also be organized considering global aspects. Applying the Eppinger approach to Clean Energy Projects is likely to significantly improve the outcome any complex Clean Energy Project and of the client’s overall condition. The previous US DOE Secretary Chu had the strategy “Batteries and Biofuels”. That strategy has made some progress in those two areas in the past few years, but much less than planned. Much of the US DOE investment in US Advanced Batteries has not turned out as well as planned, for example the recent demise of A123. Biofuels have also have not had as much positive impact as planned, with issues such as “Food vs Fuel” or energy efficiency/balance, or environmental. The new US DOE Secretary, Dr. Ernest Moniz, has stated that he wants to put Energy Efficiency “way, way up” on the US DOE priorities, and supports the Obama State of the Union goal of doubling US Energy productivity by 2030. Achieving this goal is detailed in an expert commission in this report by the Alliance to Save Energy (ASE). While the goal is ambitious, if it is even close to being realized, it will have a major impact on the US Energy landscape, and other regions will tend to follow as well. 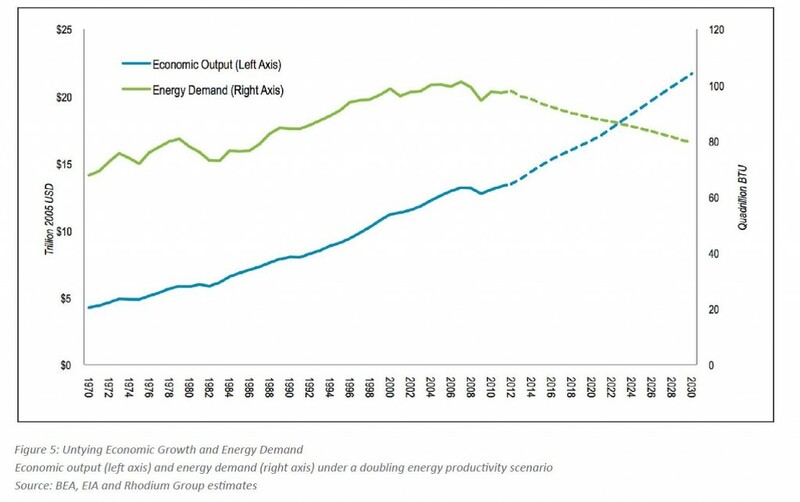 In the figure below from the ASE report, in this scenario, the overall energy demand would drop while still increasing the US economic output. A drop in demand would have significant implications to new power projects, upgrades, infrastructure etc. Going in the direction of increased energy efficiency has significant challenges but also promises some of the best investment returns of any opportunity with much lower risk. While the topic of energy efficiency has waxed and waned over the years, this new emphasis by the US DOE looks like a much better strategy than the previous “Batteries and Biofuels” strategy. Bravo!